Get in the Holiday Mood with Lucky Dino Christmas Calendar. Free spins and other great prizes to be claimed. 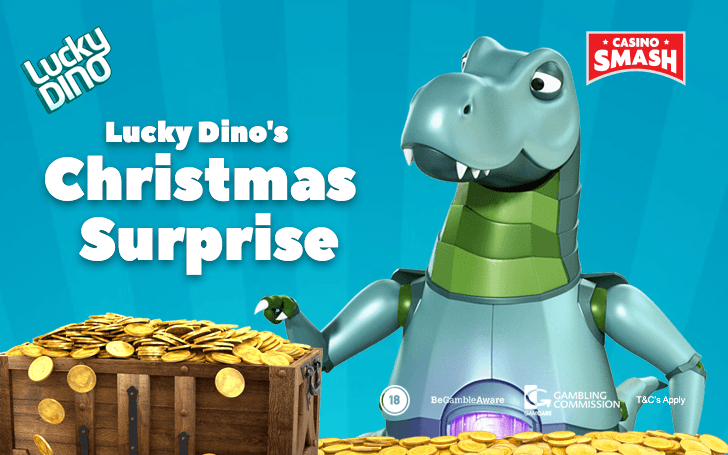 Lucky Dino Casino is hosting a jolly Christmas Calendar this year. That’s right, you can get that child-like rush of excitement again - and get some pretty damn good bonuses, too. Waiting for the next day to come around so you get to open another door has never been as sweet as this year, with so many new casinos giving away so many perks. If you were a little brat like me, you probably opened all the doors in one sitting and ate all the chocolates. I remember vaguely doing it every year. A moment of true bliss, followed by the hard truth that there will be no more doors to open the next day. That’s not the case in here though, since you only get to open one door a day and that’s it. So, let’s check out what do we have in store for The Lucky Dino Christmas Calendar. What’s hidden behind the doors? I don’t want to spoil all the secrets about what’s behind the doors, but I feel obligated to give you some hints of what to expect. The present on tap for Christmas Eve remains a mystery though. I know it’s going to be free spins but I don’t know how many or for what games. If this is your first time visiting Lucky Dino casino, you are in for another treat. Lucky Dino has a great welcome bonus for all the players signing up on their site. Just for joining the website, you will get 7 free spins. On top of that, they will double your first deposit up to €200. So, if you make a deposit of €20 you will receive €40 instead. All the deposits up to €100 come with 10 free spins. If you deposit more than €100, Lucky Dino will reward you with 50 Free Spins instead of 10. Sign up now and open your first calendar door today. 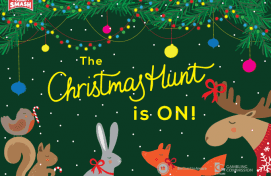 Find the Lost Christmas Animals and Win Casino Bonuses!